Wisconsin and Michigan combined to score seven goals in the first period and it’s the Wolverines that prevailed in their Big Ten playoff opener, 6-5. Wisconsin (14-18-4, 8-13-3-1 Big Ten) outshot the Wolverines (19-13-3, 11-10-3-2 Big Ten) by a 53-29 margin and clawed back from two deficits, but time expired before the Badgers could complete a third comeback in a game marked by momentum swings. Michigan struck first at the 1:40 mark of the opening period, shortly after a Wisconsin goal was disallowed. Wisconsin, however, would score three times in a 4:05 span to take a quick lead. Goals by Tyler Inamoto, Matthew Freytag and Ryan Wagner gave the Badgers a 3-1 lead. Inamoto’s goal was the first of his career. Michigan then scored three straight power play goals to take a 4-3 lead into the first intermission. The Wolverines then struck early in the second period to move in front 5-3, but the Badgers responded with a pair of power play goals from Linus Weissbach and Ryan Wagner to tie the game at five. 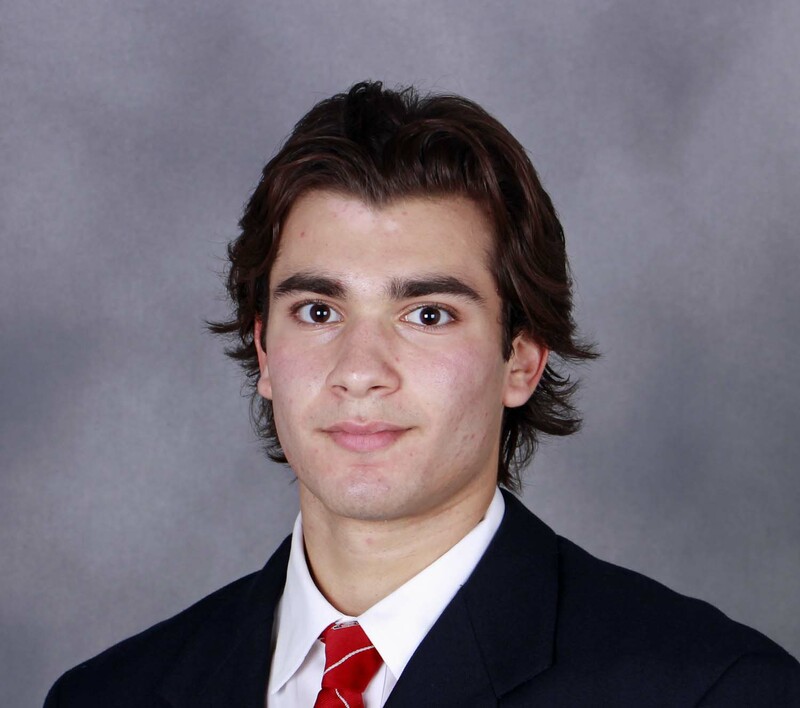 Michigan would score the go-ahead and eventual game winning goal at 11:07 in the third period off the stick of Tony Calderone. It was Calderone’s fourth goal of the game. Senior goaltender Kyle Hayton stopped 23 shots but took the loss in goal. The two teams meet again Saturday night (6:30 p.m. CT) in Ann Arbor for the second game of the best-of-three first round series. Wisconsin senior forward Ryan Wagner’s four-point weekend earned him the Big Ten Conference Second Star of the Week honor this week. Wagner tallied a short-handed goal and three assists last weekend against Penn State. His four points led the Badgers to a five-point weekend against the Nittany Lions and vaulted the Badgers into third place in the Big Ten. Wagner leads the Badgers with 26 points in 29 games played this season. He is two points shy of his career high total for a season, while his 10 goals have already matched his career best from his sophomore season. Wagner and the Badgers (13-12-4, 7-8-3-1 Big Ten) visit No. 20 Michigan (12-12-2, 7-9-2-1 Big Ten) on Friday and Saturday at 6:30 p.m. CT. Both games are on Fox Sports Wisconsin. Michigan struck first but Wisconsin‘s Ryan Wagner tied their Big Ten matchup against Michigan with 2:48 left in the first period. The game against the conference leading Wolverines would stay tied 1-1 midway through the second period until Michigan struck and went on to beat the Badgers 4-1 at the Kohl Center. Michigan’s Dexter Dancs put the Wolverines ahead for good at the 8:20 mark of the second period on a backhanded rebound past Badger goaltender Matt Jurusik. Michigan would widen the lead to two on the power play with just over six minutes left in the third period to make it 3-1. Kyle Connor scored an empty netter in the final minute and the Wolverines pulled out the win the Badgers in the series opener. 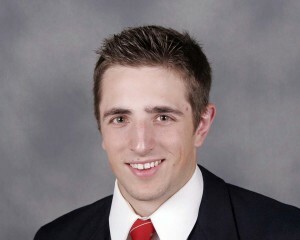 Jurusik made 36 saves in goal for the Badgers, who will aim for the series split on Saturday night at the Kohl Center. 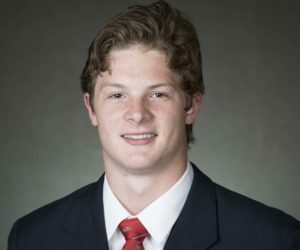 The Wisconsin Badger men’s hockey team (5-12-6, 1-7-2-1 Big Ten) got a pair of goals from Ryan Wagner and three second-period goals overall, knocking off Alaska 4-3 on Friday night at the Kohl Center. The Badgers opened the scoring with just 47-seconds left in the first period on Corbin McGuire’s second goal of the season. The Nanooks (7-14-4, 5-11-4 WCHA) tied the game 6:51 into the second, but the Badgers answered just 18 seconds later to take the lead back for good with Ryan Wagner’s first of two goals. 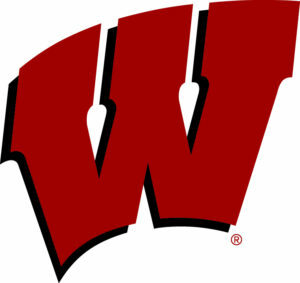 The Wisconsin Badgers scored a goal nine seconds into the game, but allowed a goal with two seconds left in regulation and settled for a 4-4 tie against the rival Minnesota Gophers at the Kohl Center on Saturday night. The Badgers (2-16-4, 0-6-2-2 Big Ten) grabbed an extra point in the Big Ten standings with the shootout victory, outscoring Minnesota 3-2 in seven rounds. But they remain without a victory in Big Ten play. Freshman Ryan Wagner scored the first goal of the game, nine seconds in. It was his first career goal and it tied Gary Winchester (1973) and Steve Reinprecht (1999) for the fastest goal to start a game for UW. Freshman Cameron Hughes also scored his first career goal, giving the Badgers a 4-3 lead with a power-play goal at 18:47 of the third period. Sophomore Grant Besse scored his fifth goal in four games against Minnesota this season. 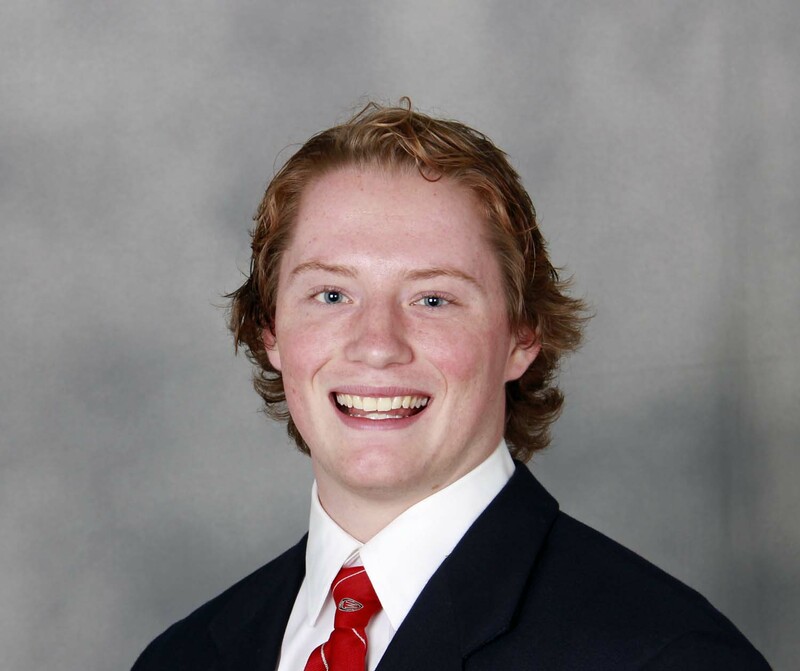 Badger goaltender Joel Rumpel made 42 saves, while succeeding on five of seven shots in the shootout. The Badgers will play four of their next five games on the road, beginning with a 2-game series next weekend at Penn State.